As Tamil Nadu faces one of its worst ever droughts, farmers and experts in the state share some organic, low-cost hacks. As Tamil Nadu faces one of its worst droughts, farmers and experts in the state share some organic, low-cost hacks. “Back in 1975, when I first visited a farm land in India, there was an old lady who came huffing and puffing, gesturing towards me. At first, I could not understand what she meant. Then I realised she was shooing me away. I had entered her farm, with my chappals (slippers) on. Since then, I have been walking barefoot in this land.” These are the words of Bernard Declercq, a Belgium-born farmer working in India. In late 2015, Chennai and most of Tamil Nadu battled unprecedented rains and floods. Two years later, the state is fighting the most intense drought it has faced in 140 years. There are reports of increasing farmer suicides in the state. Some even held a series of protests in the capital demanding that the Centre waive their loans and interlink national rivers. The principal problem here, of course, is water. This is no surprise. 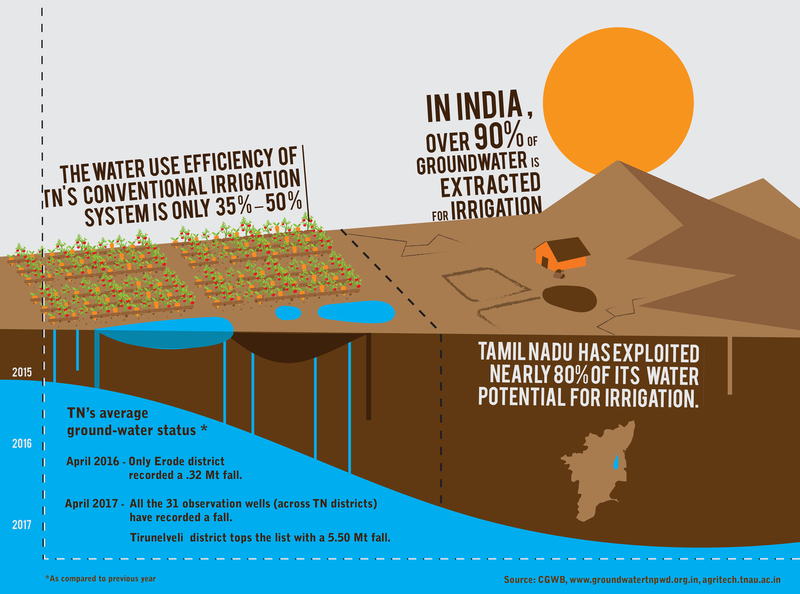 Tamil Nadu is one of India’s top groundwater guzzlers, with 142 of 385 blocks in the state recorded as ‘over-exploited’, where withdrawal happens faster than recharge. Does the solution to the water and agrarian crises lie with farmlands? Are there ways to improve the water-use efficiency (currently 35-55%) of irrigation systems? Farmers and agriculture experts across the state share some low-cost natural and native farming hacks. “Akka (sister), I’m going to Vanagam with my friends, do you want to join us?” asks my neighbour, an IT engineer who is around 20-years-old. Vanagam, an ecological institute in Karur district, is not a place you would associate with engineers or youngsters. But on the hot summer day we visited the informal farm school, the place was bustling with farmers, students, families, story-tellers and many others. “People come here to learn about sustainable lifestyles,” Kumar M., 49, explained. His employer, the Vanagam Nammalvar Ecological Foundation, is a temple to organic farmers across the state. They visit, stay, practice and learn various organic agricultural practices here. Kumar claimed that organic farmers are also better equipped to handle the drought. They have to irrigate their farms only once a week because of the lack of chemical fertilisers. Though you irrigate with it, it gushes still; dam it up is it stayed? In fact, most villages had a neerkati (a water manager) who manage the eris, which are a series of cascading water tanks. This neerkati would decide which sluice to open up and which area has to be irrigated based on the crop and its needs. The water manager would then be paid in kind from the agricultural produce. 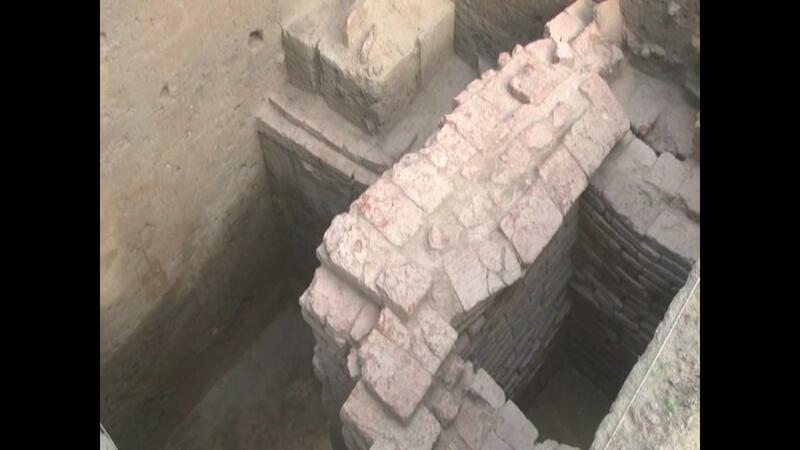 An ancient water tank found at Keezhadi village, Sivakanga District – Nasar. This year, owing to the severe drought, Krishnamurthy concedes that they have seen only pockets of success. But Himanshu Kulkarni, water expert and founder of the Advanced Centre for Water Resources Development and Management, agrees that such community management of water is the way forward in the long run. He says, “the problem is in the perception that we have unlimited supply of water. We cannot have 100 farmers use 100 different bore wells.” He blames ignorant usage of water for the current scenario. On the borewell conundrum, Sekhar Raghavan, 70, director, Rain Centre explains, “groundwater is available in two discontinuous layers – separated by hard rock, one shallow water source above and a deeper source beneath the rock. 50 years back, we were only tapping the shallow source through open (dug) wells. When the wells went dry, we migrated to bore wells. We need to understand that the shallow wells are the sustainable ones and have a chance of coming back. Dug wells are the ones you can use as both deposit (to recharge water) and withdrawal counters.” He reiterates that it is also important to revive traditional water systems likes eris, ooranis and that it will be a good practice to let the community take over their management. This February, the arid Ramanathapuram district which has over 1,077 tanks saw the revival of Kudimaramathu by the district administration, which means the public will be allowed to clean the tanks and supply channels and take charge of the water stored. The district police of Ramanathapuram have already jumped in the wagon to desilt at least 20 ponds across the district. Apart from fresh water, also known as blue water, it is also necessary to look into the effective use of green and grey water. Green water is the soil moisture that is used by the plants. Kumar declares, “We should realise that plants just need moisture and not water. By using techniques like mulching (compost spread on the ground) and mettupaathi (raised bed farming), one can ensure that soil moisture is retained.” Even the harvest cycle is planned to use this green water effectively. It is a common practice in the state to sow ulundu (black gram) after paddy, as it can survive in the leftover moisture. “Grey water, that is used in bathrooms and kitchen, can be effectively recycled and used for agricultural purpose, “ says Shaktivel K., 26, founder, Rainstock, Madurai. “It is just the mindset of the people that has to change, if one farmer sets an example, others will follow suit.” Rainstock has successfully implemented natural reed systems in community centres to recycle grey water for gardening. Similarly, in Sristi, a farm school that caters to mentally challenged brethren in Thazhuthali village, Villupuram district, grey water from washrooms is recycled naturally. They use two local plants species (canna, reed) and a indigenous swale system for cleansing. This water is then manually pumped to water banana plants in their farm. 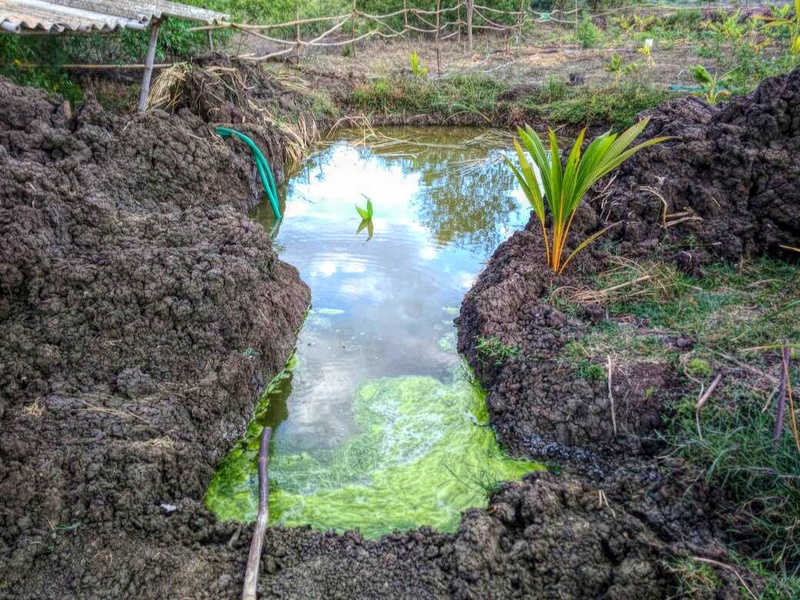 “We do not want to buy water outside hence we have set up our own farm ponds, wells and the indigenous grey water recycling system to save more water,” says Karthik, 36, founder and farmer, Sristi Village. There’s one another obvious way to bring more water and rain: planting trees. With nearly 40% of land in the state being used for agricultural purpose, it only makes sense to use farm lands to plant more trees. 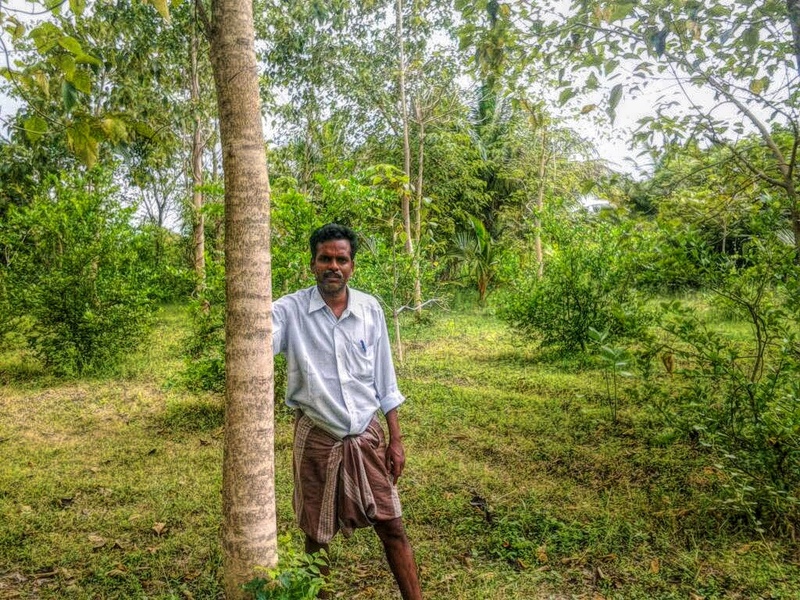 A study by Institute of Forest Genetics and Tree Breeding recorded that Tamil Nadu has seen a positive growth in agroforestry between 2010 and 2013, with an average of 5,000 hectares of farm lands used for tree cultivation. 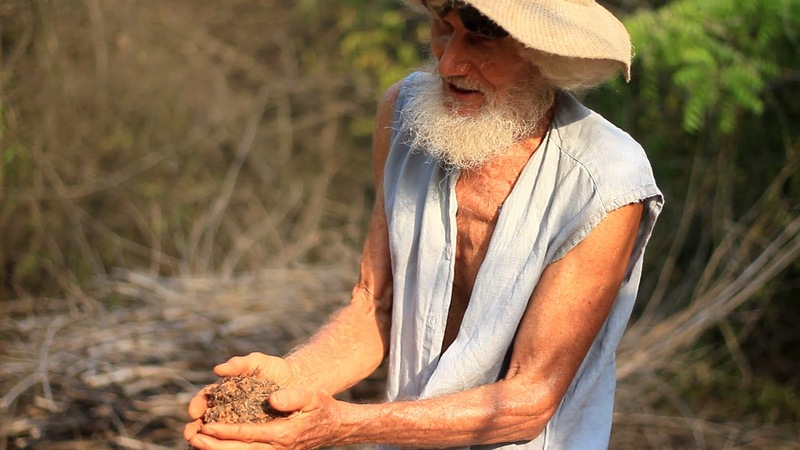 When you work with nature, nature works for you and nobody can give a better testimony than Bernard from Auroville. In his Pebble garden, he and his wife Dipika have revived eight acres of severely eroded land and turned it into an agro-forest with over 100 traditional endangered vegetable varieties, food crops, medicinal plants, indigenous trees etc. So, how did the couple manage to grow an agro-forest that once was an arid land? Bernard reveals his all-natural farm fix, “I use termites as farm labourers. They do a wonderful job of mixing mineral matter like soil and organic particles like leaf litter and build layers of rich soil. 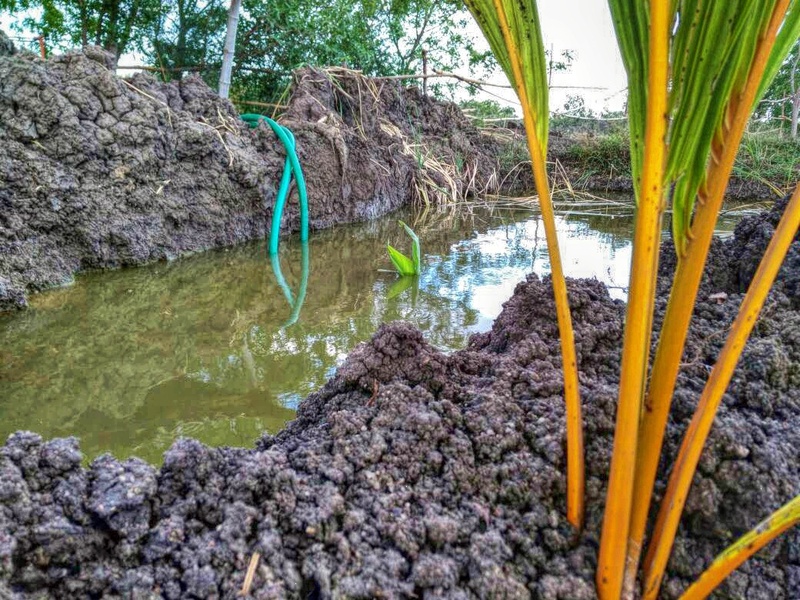 We use this soil to grow our trees.” The couple have even managed to replicate this natural process using activated charcoal to build their own garden soil. These termites dig macro-pores allowing rain to seep into the soil thereby preventing runoff or evaporation, saving precious water. Our water is fast drying up and looks like nature might have found us the best loopholes yet.